Apple released Lion Recovery Disk Assistant Monday, a free download that allows users to create a Lion Recovery volume on an external drive. This allows users to use that drive to reinstall Mac OS X on a Mac, run Disk Utility for disk repairs, or restore from a Time Machine Backup. To use Lion Recovery Disk Assistant to create this external drive (be it a harddrive or thumb drive), users must run it on a Mac that has an existing Recovery partition on it. This is an invisible partition created when you first install Lion. Once created, the external Recovery HD partition doesn’t include a full install of Lion, but if you need to reinstall it starts the process, allows you to give it your Mac App Store (iTunes) credentials, and handles the download and installation process. Note that the creation process will erase your external drive, so take appropriate precautions with any data you may have on that drive. 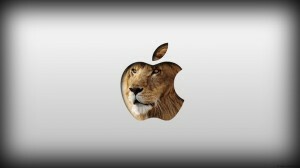 Lion Recovery Disk Assistant is a free download. So what are you waiting for? Go get it. « Mac OX Lion: The super-duper, wammer-jammer guide to everything Lion. And then some.